La Chapronnais is a traditional french farmhouse offering bed and breakfast on the outskirts of the medievel town of Dinan. The website shows off the beautiful property, inside and out and offers information about the facilities on offer and the wonderful sights of Brittany. 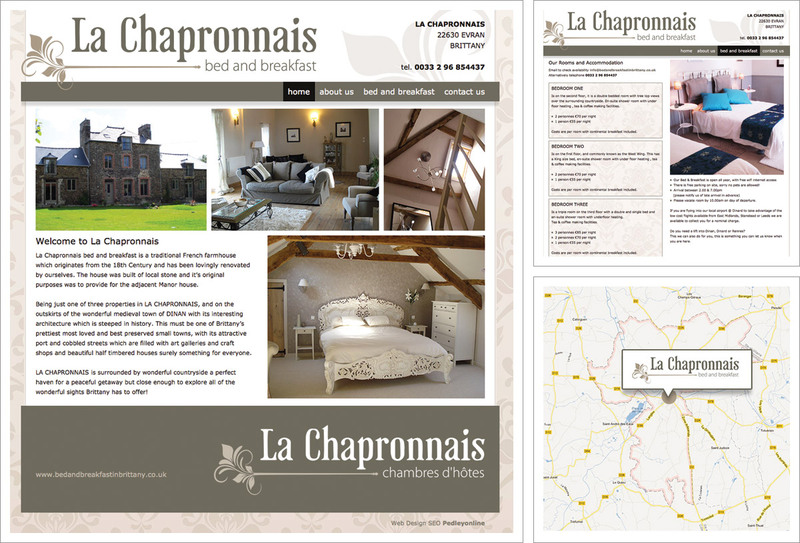 Elegant design including logo creation, basic on-page optimisation, fading images and a secure online contact form.